The M’s have made their big moves. New G.M. Jerry DiPoto is on board. Today the M’s introduced new manager Scott Servais. Tim Bogar is on board as bench coach. Edgar Martinez and Chris Woodward return as batting and infield coaches respectively. Mel Stottlemyre, Jr. was announced as pitching coach. The M’s already have some pretty big contracts. Will they take on more years and big dollars to get a David Price or a Chris Davis? The M’s will have to surrender their first round pick in any deal for a player receiving a qualifying offer. Will they be willing to sign a Davis, Price, or Matt Wieters when their farm system is in desperate need of upgrade? DiPoto has stated the free agent market is his least favorite means of getting talent. *Just for the record, Hisashi Iwakuma and Franklin Gutierrez are both valuable players I could see on this team, but they are both free agents and the M’s would have to sign them to return them to the team. Brad Miller has likely lost the shortstop competition. But he also has a ton of athletic ability and at age 25 and less than 1,200 major league plate appearances the potential of a more productive bat. Miller could end up in the Mariners outfield, or off the bench as a super-sub. However, these same attributes make him desirable for other teams. Though DiPoto likes Miller, he’s a player without a position. I could see him being traded for a player or prospects that fill current or future needs. Oooh, I can already hear the boos. Turn it down already. Paxton has plus stuff, and has shown glimpses of greatness. That is when we can see him out on the mound. But he’s had two-injury plagued seasons. He could have an incredible future, or he could be another one of those pitchers who couldn’t stay healthy enough to put it altogether. Though the injuries haven’t been major, the big lefty has only been able to pitch 141 innings the past two seasons. He is young (26.) He is talented. He has tremendous potential. But I could see the M’s dealing him for the right offer. Zunino is a great defensive catcher, but an offensive black hole. He’s also quite young, and Servais in his interview with on ESPN710 yesterday was excited to work with him. He’s gotten credit for turning Nelson Cruz’s career around, so maybe he can do the same for Zunino. Still, if the M’s feel they can do better with Wieters or another catcher, I could see Zunino being gone in the right deal. Another Mariner I really like and he’s the only real outfielder the M’s have on their roster for next season. But Smith pencils in as an average defensive corner outfielder (despite a strong 2015 season) and didn’t have the extreme splits mashing righties that made him attractive in a platoon. The M’s might think about a deal including Smith to fill one of the many holes on the team. Of course that will create another one . . .
Trumbo struggled after coming to Seattle with Vidal Nuno from Arizona. But he really did turn his season around to show improved batting average, a higher walk rate as well as prodigious power. He’s really a guy without a position, best suited to DH or play first base, not a more athletic defense-oriented outfield. Trumbo also makes a pile of cash, $9.1 million in 2015, and is arbitration eligible–likely for a Trumbo jumbo. He could be gone as an expensive player without a position-traded or even non-tendered. LoMo is a nice guy, an active Twitterer, a good defensive first baseman, but really an offensive disappointment. He makes a good deal less money than Trumbo, but he also produces less. Without Fernando Rodney to caddy arrows for, what’s he really good at? Again, another trade or non-tender for his last year of arbitration eligibility. Montero is another one of those feel-good stories, like the resurrection of Franklin Gutierrez and Wilhelmsen. But he didn’t quite make it all the way back. He had a tremendous AAA season in Tacoma, and though he had some great games in the bigs, he couldn’t quite put it altogether and hit consistently. Coupled with the fact that he’s out of minor league options, there’s every reason to believe Montero is likely gone. But Montero is also the inexpensive option as the M’s remake themselves for 2016 and beyond. I could see him as the survivor at first base. The last three players are those without a clear future. In fact they aren’t even officially Mariners. Rather they are the progeny of Jack Zdurencik’s drafts. High draft choices to be sure, but also guys in the Zdurencik mold. They may not fit in a DiPoto/Servais world view. If there was a clear loser in the Ketel Marte/Brad Miller competition at shortstop, it was Chris Taylor. A slick fielder, but not much of a hitter, Taylor remained marooned in Tacoma for most his injury-riddled season. He will likely be gone. A 2011 first round draft pick, Hultzen’s recovery from severe shoulder surgery in 2013 was derailed after only 8.0 innings in 2015. Is Hultzen done? Hard to say, but it’s also unlikely he makes it to the Mariners any time soon if at all. Peterson was drafted as the best bat available in 2013. Like many Mariners, he trashed the California league, and seemed on the verge of heading to Tacoma after 2014. But his assignment to Jackson revealed the flaws in his game. He struggled for most of the year in AA and made it to the Rainiers for 14 not-so-memorable plate appearances. Peterson was drafted as lousy fielder at third base, and primed to be a first baseman. Not the kind of athletic, versatile player DiPoto likes. He could be included in a trade. Like Peterson, the 2014 first round pick struggled last year. But he’s another player like Peterson, drafted primarily for his bat. He was a catcher in high school, and the 19-year old lacks a position. Zdurencik assured the gathered press that he saw him in the outfield–much like he saw Corey Hart, Logan Morrison and Mike Morse in the outfield. I’m not sure he fits in a more athletic, stronger defensive outfield. Today the Mariners announced Angels assistant GM Scott Servais was hired to be manager. Servais was an 11-year MLB veteran with no managerial experience. With the signing of Jerry DiPoto and the dismissal of Mariners manager, Lloyd McClendon, the Mariners front office signaled change was on the way. The announcement that Andy McKay was coming over from the Rockies to be director of player personnel after being “peak performance” director was the first example the team is stepping outside the box for change. 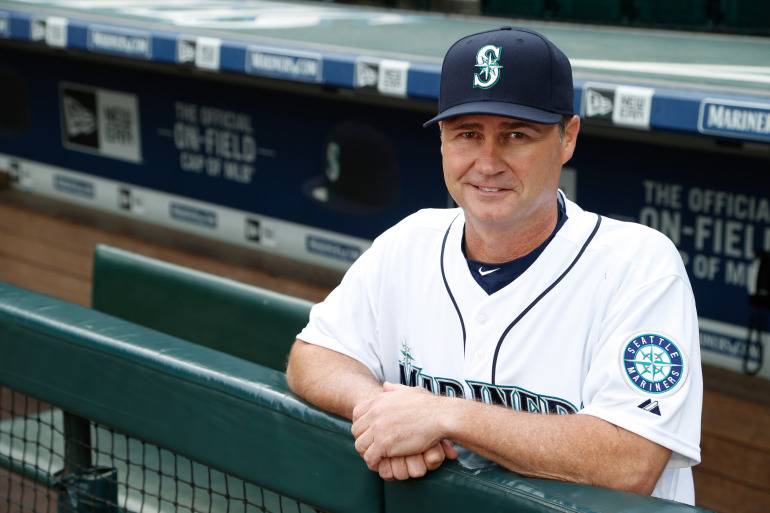 Today the Mariners announced they were hiring Scott Servais, a former player, coach and assistant general manager with no major league coaching or managing experience. I cannot pretend to know what this bodes for the team on the field and for their performance in 2016. I don’t think anybody does. But what I firmly believe is this is a huge break with the past. I believe this team will be somewhat more stats driven, that there will be a greater emphasis on staff development AND teaching and development of coaches as greater emphasis is placed on advancement of Mariner prospects. Do I know for a fact? No, but based on McKay’s interviews and on DiPito’s earlier comments that seems to be important. Servais also has a background less in coaching and managing than player development, but that doesn’t preclude him from having what it takes to partner with a GM and put a winner on the field. And while I earnestly hope that what seems like a new approach works, I have no way of knowing, but I certainly am excited to find out. What I do find troubling is the attitude of many who declare their Mariner fandom in Mariners-related Facebook pages. After the August firing of general manager Jack Zdurencik, voices for change were loud and clear. Start over, clean house, and trade everyone (sometimes including Felix and sometimes not) were legion. it was clear a significant portion of the fan base posting on Mariners Nation and the Seattle Mariners groups representing some 16,000 fans were done and ready to move on to something else. Though a few diehards believed Pat Gillick, at age 78, should be wheeled out of retirement, most were ready for something new. And the M’s hired DiPoto. 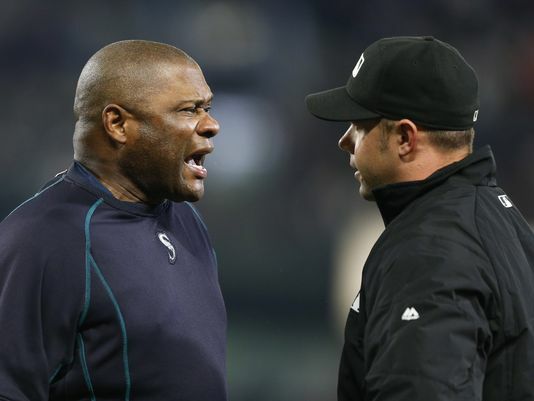 When Lloyd McClendon’s job seemed to hang in the balance for weeks, the groups split between those who thought Lloyd should go, Lloyd should stay, or those who believed, like me, that Lloyd was likely gone. And then he was. But Mariners fans seemed to show some real schizophrenia when it came to choosing McClendon’s successor. When names began to roll across Lookout Landing, MLB Traderumors, Seattle Time, and Tacoma News Tribune websites offering names like Dan Wilson, Raul Ibanez, and Joey Cora as potential candidates, fans cheered, and some jeered when Bogar, who worked with DiPoto and came highly recommended from the Rangers joined the ranks of candidates as a favorite. When Servais joined Bogar as a possible, then likely manager, DiPoto was accused of cronyism. Why not Wilson or Edgar, or at the very least why not the tried and fired Don Mattingly, or the tried and true destroyer of young pitchers Dusty Baker? if they weren’t former Mariners, at least they were veteran managers. So I find it curious that with the announcement of Servais’ hiring today that so many fans, fans who claim to be knowledgeable, and have a passion for the Mariners (though I’m always suspicious of fans who claim to know baseball but whose personal photo is a Seahawk emblem) could express such incredulity his hiring. It’s almost as though nobody had mentioned his name the last two weeks, that he was never an 11-year veteran player, or that they didn’t realize he’d been around the game for decades. Instead of being the step outside the box they demanded, many fans have jeered the move as another example of Howard Lincoln’s penny-pinching ways, or his reluctance to give up the manager’s spot to someone who knows his own mind and won’t follow the company line. Again, I don’t know if these hirings will work out or not. But they certainly aren’t the same ol’, same ol’. And if fans want something different, the difference has to start somewhere. It seems to me that starts on the field with the manager and coaching staff. You can’t have it both ways. With a day off from school today, I was browsing Baseball Reference and FanGraphs, examining the career of Brett Butler as an archetype for the M’s centerfielder needs when word came across from friend Todd Keister that Lloyd McClendon was a goner. I was sorry to hear it but definitely understand. Though McClendon’s 2014 team club hard to get within a game of the playoffs, he was managing an imperfect team. The pitching staff, starting and relieving was incredible despite those occasional Fernando Rodney outbursts. That team’s biggest problem was offensive. The 2015 team, despite offseason efforts to improve the offense, was undone by that same pitching staff. Most of the players were the same, but the results were very different. Injuries to starters Iwakuma and Paxton led to dependence on players not as good, and then to dependence on a bullpen whose performance by almost all its denizens were unrecognizable from the perspective of 2014. When players fail to perform is the manager responsible. Probably not. But, the G.M. who hires you is like a medieval monarch. When the king falls, usually the king’s men lose their heads. I like Lloyd McClendon, I really do. I’ve written about his honesty, his ability to diffuse the big picture drama, and deal with the day to day stresses of major league baseball. I’m sure this long losing season was not acceptable to him. But I feel like he hung in there, and that his players hung in with him. I am also not surprised by this. New G.M. Jerry DiPoto is entitled to his own man. And it sounds like he has some guys in mind-Angels coach Tim Bogar, former Padres manager Bud Black, former major leaguer Alex Cora are all mentioned in news reports. I think Joe Torre remarked that all major league managers know they will be fired someday. Connie Mack is the only man to escape this fate–because he owned the Athletics. My hope is that McClendon has the chance to manage again. He’s done nothing in Seattle to disqualify him for a future post. MLB Post Season Awards, the playoffs and a nod to Dave. Clearly some picks were more difficult than others The NL Cy Young selection was super tough because Greinke, Arrieta, and Kershaw were all so amazing. Greinke’s historically low ERA and WHIP won me over. But it could have been a coin flip. I was also puzzled when choosing a reliever. For the AL, Davis was a no-brainer, but the other two both came from the Yankees. Betances was so freaking good, he had to be on the list saves or no. In the NL the choice was tough because Melancon’s overall numbers weren’t as good as Familia and Rosenthal. But it does take something not in the numbers to save 50+ games. If you think it doesn’t I would encourage you to rethink the litany of failed closers we see every year including our own bullpen. That’s 51 saves with two blown saves or a 96%, against a league average 69%. He can be my closer. With the season behind us, I begin the long darkness of Mariner withdrawal. I am not enough of a baseball fanatic to make myself watch all the playoff games. I cop to being a Mariner fan first, last and always. Both wild card games are pretty interesting, and if I have favorites in the playoffs it’s probably Texas and Chicago. The Rangers and Cubs both overachieved and Texas overcame a bucket of early injuries to get where they are. I love underdogs. A shout out too for the Astros who did what they’ve done a year ahead of schedule. They are so young and good, with more reinforcements on the way, they should be a power in the AL West for years to come. But don’t expect to see a continued litany of posts on Chatter From the Cheat Seats as the playoffs roll on. I’m happy to comment on any real news–manager status, major changes in management, and any trades or acquisitions. While the blog won’t go dark, it will be quiet. I won’t root in the playoffs, or spread rumors. And I won’t revert to Seahawks commentary. I’m a Mariners fan, and while I am happy for whatever the ‘Hawks can do, and after four games they clearly have their hands full, but I am a baseball person, and let’s just leave it at that. In closing, I was just thinking over the season, the times that Kyle Seager and Nelson Cruz or Cruz and Robbie Cano went back to back. The shot Cruz hit off the train in at Minute Maid Park. The exploits of Ketel Marte and the promise of a new kind of Mariner he represents. And I thought about how Dave Niehaus might have called all of it. It’s hard to accept he’s been gone five years. While I really like Aaron Goldsmith and Ricky, I enjoy Shannon Drayer and think she’s a great baseball writer and blogger, and I’ve even found a way to accept Blowers and Sims, it still hurts to know our Dave, our own Hall of Famer is gone. Some day Dave, we’ll all watch the Mariners in the World Series together. Wait ’til next year. The Many Lives of Justin Smoak and Dustin Ackley and . . . The Mariners season is done. The lockers are cleaned out. The players have headed home. All that’s left to do is determine who is gone for the season and who will be gone for good. Two players who won’t be gone for good are outfielder Ramon Flores and pitcher Jose Ramirez. Flores and Ramirez came to Seattle from New York in the Dustin Ackley trade. Flores severely injured an ankle on a soggy field in Tacoma. 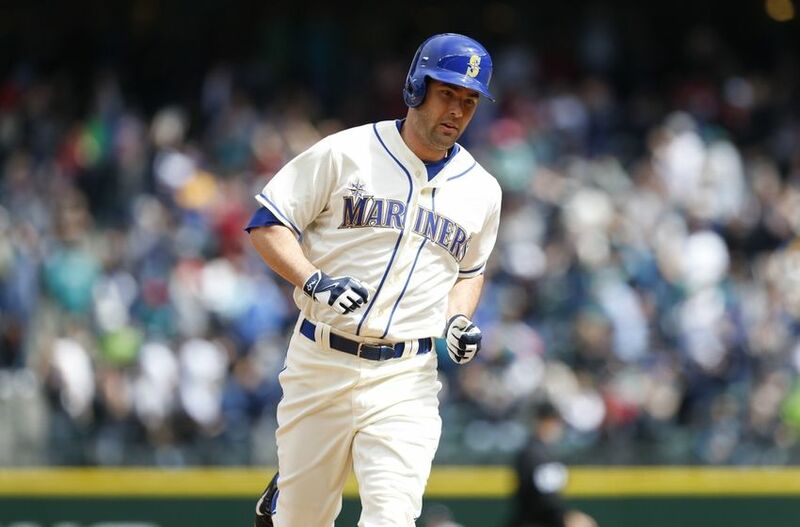 The Mariners are hoping to give him a long look in spring training–if he is healthy. The M’s got a look at the hard throwing Ramirez. He pitched in 4.2 innings for the Mariners–and gave up six walks. His lack of control is what made him available for Ackley. Ackley is the former Tarheel and second overall pick in the 2009 draft. Though he went to the Yankees before the July trade deadline, he promptly went on the DL. When he returned, he took over the essentially vacant second base job Robinson Cano left nearly two seasons ago and flashed the same kind of prowess at the plate he showed the Mariners for a month or two at a time. In his 23 games with the Yankees Ackley slashed .288/.333/.654. Today he finds himself getting ready for the AL Wild Card game with the Houston Astros. Further up north, in Toronto, another former Mariner, Justin Smoak relaxes for a day or two as the Blue Jays, winners of the AL East watch tomorrow’s wild card contest in anticipation of the ALDS. Smoak was never a success with the Mariners, though, like Ackley, he would show flashes of talent. Waived by the Mariners and signed by the Jays in October of 2014. Smoak had a very Smoak-like year. His .226/.299/.470 slash is kind of in line with his career numbers, but a slugging average much higher than his career .392. With only 328 plate appearances, the 28 year-old South Carolinian had 35 extra base hits, including 18 home runs. Look, I don’t think either player was a raging success with their new teams. In Ackley’s case it’s a super small sample size and who knows what he could do over a full season. Smoak, clearly found a role with the Blue Jays as a left handed partner to right handed Chris Colabello. What is equally clear is that neither Ackley, one of the best hitters in college baseball history and the consensus best hitter in the draft, and Smoak the centerpiece of the Cliff Lee trade to Texas, could prosper in Seattle. I’ve always been inclined to believe it was a mental thing. The expectations were too high, the demands were too great and they simply didn’t have the mental toughness to make it work. It remains to be seen if Ackley can be successful in New York, but he’ll get a chance to show what he can do in a pretty amazing showcase, the AL Wild Card game. He should have a shot at the Yankees second base job in 2016. For Smoak, in going to Toronto he had nothing to lose. He was surrounded by Josh Donaldson, Edwin Encarnacion, Jose Bautista, Colabello and a plethora of good bats. He played in the Rogers Centre, a bandbox. Smoak didn’t have to be the man, he wasn’t the savior who fell short, as he was in Seattle, he was merely a complementary piece. His performance even pencils out to a 108 OPS+ at first base, a mark he only reached twice in his five seasons with the Mariners. I’m not sure what it all means. Just another couple of examples of guys who couldn’t get it done in Seattle, but have found a certain amount of success on other teams. But there is one more former Mariner I would be remiss if I didn’t mention him. Despite leaving Seattle with his quiver of arrows aflame, and the bullpen covered with third degree burns, Fernando Rodney has found a spot in the Chicago Cubs bullpen as the Cubbies head off to the National League Wild Card game. In his 14 appearances with Chicago, Rodney pitched 12 innings, struck out 15 and walked only four. He sports a 0.75 ERA and a 1.00 WHIP. Perhaps his career was turned around by his former manager Joe Maddon. Perhaps it was simply sorcery. But another Mariner rose from the scrap heap to be a valuable piece. Over the years the stories about former Mariners who left Seattle in tatters and made a career elsewhere are legion. It contributes to the view that Seattle can never win, exporting its talent to the Yankees or the Red Sox, for players who cannot help (Jesus Montero and Heathcliff Slocumb.) I’m not sure why it works out this way, but it just seems to. Former Mariner Kendrys Morales also had a great year for the Royals, and is headed for the playoffs too, but I don’t care. I just don’t like him well enough to waste the electrons. I’ve said this season was a disappointment enough times-over and over-I’ve made myself nauseous. But it was, and there it is. But if it was disappointing to me, it certainly must have been so to the players. They read the pre-season hype, just like the fans, and I’m sure they had expectations. And without a doubt Lloyd McClendon had expectations too. Jack Zdurencik went out and got him Nelson Cruz for the middle of his line-up, Taijuan Walker and James Paxton were that much more experienced. Felix and Iwakuma were at the front of his rotation. The young guys-Ackley, Zunino and Miller-were another year older, another year more experienced. And that bullpen. Give me that bullpen any day. And some guys, problem performers, were gone. No more breakage worries with Michael Saunders gone. Justin Smoak was no longer a strikeout waiting to happen in the lineup. More pitching with J.A. Happ to go with a very good rotation. And Seth Smith and Justin Ruggiano were a made for each other tandem in the outfield. Except none of it worked. None of it. The rotation broke when Paxton and Iwakuma went down with injuries and Happ was traded after a month of ineffectiveness. The carefully assembled offensive lineup didn’t produce, the heroics of Nelson Cruz notwithstanding. And the bullpen seemed as though it was struck by lightning. The same guys who formed the best relief corps in Mariners history, suddenly were among the worst. And in a puzzling move, the Smith/Ruggiano tandem wasn’t allowed to function. Cruz went to right field and Ruggiano was banished to Tacoma without explanation. The Mariners lost, out of the playoffs again. But the season was so weird. The M’s had two abysmal stretches of ineffectiveness. The first was the infamous 2-9 homestand from May 28-June 7th after fighting back to .500 on the road. And then after playing .500 ball most of the rest of the season, and sneaking back within three games of .500 in late September the M’s collapsed utterly going 2-9 over their last 11 games. It’s hard to see how McClendon was somehow responsible for this.The team really didn’t give up, though it definitely had a couple of bad patches. Even at the end, playing through serious injuries, Cano and Cruz insisted on playing. Kyle Seager didn’t miss a game this year. So how much of this belongs in Lloyd McClendon’s lap; how much is his responsibility? On the Mariners Nation Facebook page I’ve watched fans screaming for Lloyd’s head for a variety of reasons. Players clearly underperformed, the team underperformed, should Lloyd pay the price? The fans were angriest when he regularly ran Fernando Rodney out against all sense and experience. But they didn’t know that McClendon wanted Rodney and his $7.5 million salary gone. a month before he was released. More importantly, there was nobody to replace him with. Tom Wilhelmsen, Joe Beimel, Danny Farquar, Mayckol Guaipe, David Rollins: all were B-A-D. Only Carson Smith seemed consistently decent, until he was overworked and suffered setbacks as a result. Though he not so secretly loves the M’s, ESPN’s Sweetspot writer David Schoenfeld wrote in his preseason comments that while he was picking the Mariners to win the AL West, they were the most fragile team. If there was injury or underperformance by one of three key players, Robinson Cano, Nelson Cruz or Felix Hernandez, they would have a hard time winning. In another pre-season article he identified Rodney as one of the most flammable closers in the league, one that could cost the Mariners games and maybe their playoff hopes. Cano struggled the first half of the season with illness and ineffectiveness and Rodney was, well, that guy Schoenfeld wrote about. Should McClendon’s job be on the hook for this? I don’t hold McClenon responsible for the team’s failure any more than I think he is responsible for their success on the field. Too many things went sideways for him to own this. I do think he has a bad habit, and that is just being done with a player. Lloyd McClendon, like Lou Piniella, has a dog house and when a player is in it, it’s really hard to get out of it. Erasmo Ramirez was in Lloyd’s doghouse, was shipped off to Tampa Bay and had a decent year. Ruggiano was in his dog house and never recovered, though he had a good year in Tacoma. I wonder if McClendon had the complete power to make on-field decisions. I’d like to believe he did. But the early abandonment of the Smith/Ruggiano platoon in favor of Cruz in right field leaves me suspicious. The Mariners are as good as any team in MLB at maintaining that opaque curtain of secrecy. Cruz made no secret when he met with the Seattle media the first time that he found DH’ing boring. Did Zdurencik instruct McClendon to play Cruz in right field? Did Ruggiano react negatively to the reduced playing time, inspiring Lloyd to wash his hands of him? I’ve always liked McClendon. I think he is frank with his players and with the press. He does everything he can to isolate his team from drama, and seems focused on the day to day. He doesn’t seem to be a great field tactician, although he sure seemed like a wizard with the bullpen in 2014 when he had something to work with. I think he’s deserving of that last year remaining on his contact. But my gut tells me he’s gone. DiPoto will want his own man, one he can trust and collaborate with, who sees the game with his eyes. I can’t say I blame him after his experience with the Angels. I also think his analytics philosophy may be further along than Lloyd’s, and that may require a different guy, who is more comfortable using them on the field. Umm, Seth, I don’t think you were supposed to do that. Your Seattle Mariners won the final game of the season to end a two game losing streak It ends a pretty tough ending to the 162 game campaign, as the Mariners finished 2-9. Though the M’s hovered around the fringes of playoff contention until they steamed into Kansas City on September 22nd, they were never seriously in the playoff picture the entire year. Their season was undone by injury and underperformance in all parts of the game-offense, starting pitching and relief pitching. However the beloved Sea-town nine did have an opportunity to finish the season right. The Chicago White Sox had a one game lead over the M’s, going into the final game; the Sox had the 11th worst record (76-85) in the major leagues and the Mariners had the 10th worst (75-86.) Nevertheless, the two teams, terrible as they were, still had a prize to fight over. The ten teams with the worst records in baseball are exempt from surrendering their first round draft pick if they sign a free agent pick receiving a qualifying offer from their team, the best free agents available in the upcoming class. The Mariners gave up their first round pick in 2015 to the Baltimore Orioles after signing right fielder/designated hitter Nelson Cruz. The Mariners started the day with a one game advantage. Unfortunately, the White Sox failed to do their part, Playing the Detroit Tigers at home starting pitcher Frankie Montas coughed up a run in the first and the visiting team never looked back. The Tigers shut out the ChiSox 6-0 to end a disappointing season for both teams. The Chicago loss left them at 76-86, tied in the loss column as the Mariners entered play for the final time in 2015. Disappointing news sure, but the Mariners had this one in the bag from the start. They were starting swingman Vidal Nuno on the heels of a 13 inning duel to the death with the visiting Oakland A’s on Saturday. The depleted bullpen was further diminished as manager Lloyd McClendon ran out seven relievers in support of a fine effort by Roenis Elias, but to no avail as J.C. Ramirez barfed up a two run gopher ball to Marcus Semiens in the 13th and the M’s surrendered a quiet 1,2, 3 in their half of the inning. Yes, the Mariners had every reason to steam into their season finale with their daubers down and their minds on going home. Adding to the previous night’s debacle was the news that Cruz injured his groin and would not play. The odds were stacked against them, the 10th spot seemed theirs. And things certainly started out right. Nuno gave up two runs in the third when Oakland center fielder Craig Gentry tripled and scored on a sacrifice fly by catcher Brian Anderson. First baseman Marc Canha followed with a solo homer, A’s lead 2-0. But the M’s, playing in front of 22,407 faithful on a lovely fall afternoon did not remain silent long, scoring single runs in the fourth inning and tied the game in the sixth. Nuno failed to perform his usual early inning collapsing act, got through six innings and turned it over to the relief corps. I swear I saw a guy in the stands smiling grotesquely and flicking his lighter. Immolation of the season finale was pre-ordained. But no. Mayckol Guaipe, he of a dozen late inning meltdowns (it was just one pitch that did it,) pitched to two batters and only surrendered a walk. Logan Kensing dragged his 6.59 ERA and 1.390 WHIP, and having pitched .2 innings in the Saturday night debacle spun 1.2 perfect innings! The M’s miraculously remained tied with the A’s 2-2. In the bottom of the eighth, with the Mariners having mustered only five hits and remaining silent since they scored in the 6th, were in the process of exiting their at bat quietly when Seth Smith stepped into the batters box to face righty reliever Ryan Dull. Smith has been god-awful since I wrote my piece about him, hitting .204 in August and .216 in September. Of course the Mariners got Smith to punish right handed pitching, and Smith did just that driving a pitch 409 feet, just over the center field fence. Tom Wilhelmsen, who blew his second save in the ninth inning on Saturday night, somehow found his composure, his fastball and his curve all in one game sealed the deal. M’s win 3-2. So the Mariners and White Sox both finish the season at 76-86. Could be worse, right? There must be some gentleman’s test of skill to settle this? Coin flip? Rock, paper, scissors? Pistols at twenty paces? No, sorry. Remember last year when the Mariners had that awesome season that left them within one Fernando Rodney blown save, one Justin Smoak called third strike with the bases loaded, one Kendrys Morales pop up with the tying run on third away from the playoffs? It was much better than Chicago’s 73-89 spanking in 2014, so the pick belongs to them. Unfortunately it leaves General Manager Jerry DiPoto with some difficult decisions. Does he go after a top flight arm like David Price and surrender the team’s first round pick, or does he concede an impactful free agent signing in the interest of rebuilding the depleted Mariner farm system? It don’t get no easier.